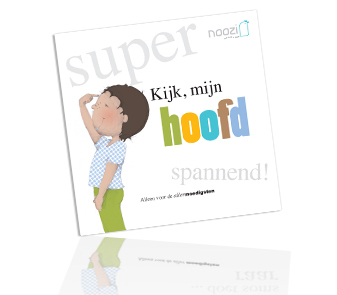 Noozi books are printed on high quality hello silk paper (135g) with paperback cover (300g). In case of higher oder sizes you can also choose for hard cover. Standard size is 190x190x4mm (7,5x7,5 inch) but other sizes are possible. For children who want to know what epilepsy is. 40 pages, nicely illustrated, full colour, explain what is happening in your head, what neurons are, how they send and receive information and how they can become overexcited. 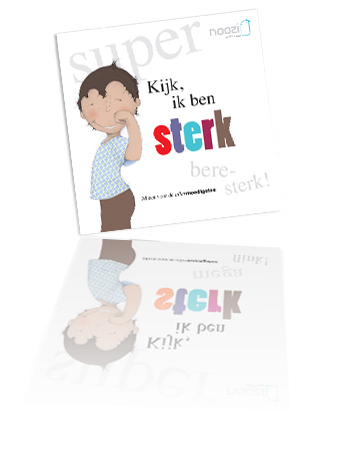 Originally written in Dutch, but available in other languages. Look, I'm strong. For children who want to know what cancer is. 48 pages, nicely illustrated and full colour. This book explains that cancer has everything to do with cells. But what exactly are cells? What does a cell do? What is a tumour? And how does a cell change into a cancer cell? 'Look, I'm strong' is not only a great support for children when they are diagnosed with cancer, but also for parents. Look, I grow. For children who want to know what growth hormones are. 36 pages, nicely illustrated and full colour. This book explains 'why' some children are starting on growth hormone therapy and 'how' this works. How they get their injection every time they go to sleep. Together with growth hormone Max and cell Sarah the injections become a fun daily ritual.